The most expensive computer equipment and wads of capital to trade with won't do you any good unless you do enough prep work and homework beforehand, counsels the staff at Netpicks.com. Creating a trading plan and then trading it might be a simple enough thing. However, if you want to make a real go of trading, it's often a much more involved task. Simply turning up and trading a strategy may work sometimes, but in order to achieve a level of consistency over the long run, you really need to put in just a little more effort than that. Trading is like any endeavor. Whether it be a professional sportsman or a lawyer, those who sustain long-term success are those who are thoroughly prepared. So if you don't want to be a flash in the pan as a trader, know this: the Devil is in the detail. You will often see people who are either using an off-the-shelf strategy, have picked something out of a book, or even perhaps trying to follow some strategy from a well-versed trader on the Internet. Frequently you see these people fail; it's no coincidence either. There's nothing wrong in particular with doing any of these three things and indeed the information on offer is excellent in some cases. However, if you don't thoroughly consider, test, refine, and sim trade the strategy, any number of things could end up being your downfall. For example, some guru with a strategy, which works very well for them could have missed out a couple of crucial details or you could've missed them yourself (the brain has a habit when faced with lots of information, of skipping over details, which it doesn't immediately recognize as important). Also they might not be particularly good at teaching others and this is something, which may well not be immediately apparent. They may also use a discretionary element from their years of trading experience to achieve the results they get. What about the off-the-shelf strategy? It might only work well on specific markets or during periods with certain market conditions. Who knows? The fact is that markets are changeable and so strategies at the very least the application of strategies, may need to be adjusted over time. So there are many potentially unforeseen factors, which could end up being detrimental to a strategy if you're not careful and on the ball all the time. Your system can't just be a bunch of lines on your charts used to generate signals, which in theory have been historically profitable. You must understand what it is you're trying to take advantage of in the market. This could simply be a trend, a breakout, or a range for example. You also need to know when the strategy is not particularly effective. You need to know why certain sequences of price movement trigger an entry signal. You need to know what to expect from the market after an entry, from both winning and losing trades. Do all the winners, for example, come when the market darts in your direction immediately after entry? Does it matter at all? Does the system work well in quiet markets or are fast moving market conditions the most effective? Does this then lend the system to perform better in something like the eurodollar (not the currency) (the tortoise) or something more like Dax (the hare)? Being able to execute well is not just about being quick on the draw. It's about understanding the adjustments to your strategy, which you're willing to make and reading the markets in real-time in order to know when to make them. This might sound straightforward, but in the heat of battle, if there's any ambiguity in your plan, emotions are likely to take over and the consequences of this could be disastrous. I'd just add here that I don't necessarily believe emotions are bad; it's acting with emotions that's potentially harmful to a trader. It's also about knowing which time of day to trade it, knowing how many contracts to trade with, being fully aware of economic releases and so on. There are many considerations, which you may need to make and then comes the need for testing. Back-testing, manual back-testing, and then simulated environment testing. It is indeed important to do more than just automatic back-testing in my view. For example, you might not get all the fills where your back-test has indicated trades were taken. This might not actually affect the results too dramatically or it could well make a critical difference to them. If you don't test at least a theory and preferably the strategy itself, how will you ever really know whether it has worked before and how will you have the confidence to execute live trades in the product you trade? If you trade the system randomly or based on gut feeling, there's a chance that you'll end up picking all the losing trades in an otherwise fantastic system! Have you ever watched the market when you've been lacking in confidence and then finally, after a series of what would've been winning trades, mustered the courage to take the next trade only to 'pick' a loser? When I mentioned simulated testing earlier, I'm not talking about some fill-on-touch simulator. These are unfortunately a complete waste of time. You need to use a simulator, which is fast and has a queue algorithm to properly simulate the fact that in a real market your order may be behind a large number of others already sitting at your limit price. This can make a huge difference to your results. You must also test it for a sufficient length of time and number of trades. Having a couple of winning days in a row and saying "well that works so I'm going to go for it now" is not a particularly good idea. There will be winning and losing streaks in any strategy to one extent or another. You must expect the unexpected. I'm not talking about making a whole heap of automated optimizations here. What I'm saying is look through your results and individual trades, if necessary, to see if there are any logical refinements you need to make to your system or your plan of how to trade it. Retest the trades you've taken. Then if it still looks good, retest the data you've already back-tested. You can't just guess that a particular refinement will end up being a good one so you have to check it. Then you have to sim trade it again. Don't think just because you're able to slap down $100k or something that you're immune from needing to go through this process. "Hey, I have plenty of money to 'play' with and learning by trading live has got to be the best way." Boom. $100k can turn into 99c pretty damn quick if you're trading more than a very small amount of contracts per trade. Think about it. 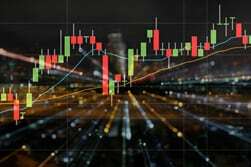 The big banks and funds trade millions or even billions of dollars worth of trades at a time in some of the very same markets which you, the relatively inexperienced trader, are starting to trade! We all come to the realization of how important the supporting work in trading is at some point, so make sure you do it sooner rather than later.